Even if you live in a safe neighborhood or are a member of a Neighborhood Watch program, you should make certain your home stands up against break-in attempts. Thieves do not discriminate, so don’t assume they do. They target downtrodden, middle class, and high-end areas, so ensure your home has the following anti-theft features. 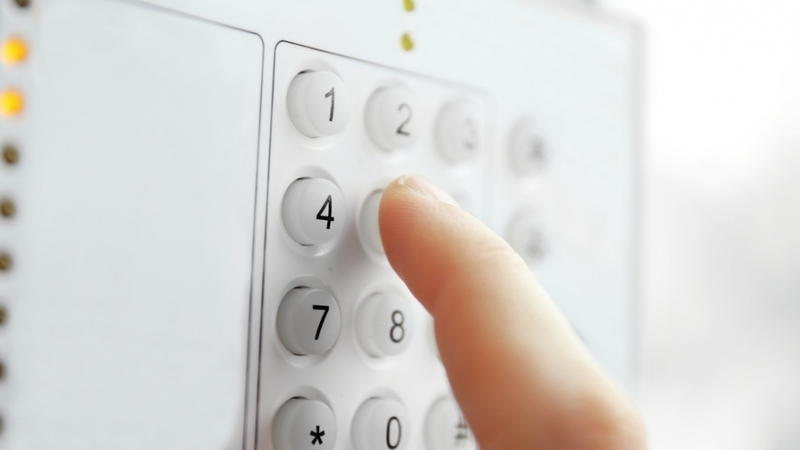 The insurance company Allstate recommends home alarm systems. According to its website, “Alarm systems are one of the best forms of home protection.” These systems not only sound when somebody attempts to break into your premises, they also send an immediate signal to the proper authorities. Some systems also alert you and the authorities of fire and carbon monoxide poisoning risks, which means your home is secured beyond burglary prevention. Make certain all exterior wires for your alarm system are concealed after installation. This prevents thieves from cutting them to disable the protection prior to their attempt to gain entry. No home should be without deadbolt locks, either. In fact, all exterior/interior doors should have them. This includes the door in from your garage. Don’t make the mistake of thinking that your automatic garage opener is enough protection. It isn’t. Install deadbolts on your front, back, and garage doors. If you have French or elegant doors leading to the patio or other outdoor space, install deadbolt locks on them, too. Purchase deadbolts that are at least 1-inch thick for maximum protection, and make certain you do not leave any space between your doors and their frames when you install them. Crooks can jimmy that space if determined enough. You should also secure your sliding doors. Security experts such as Alder Home Security recommend covering all bases, yet many homeowners forget their sliders. Even though these doors and their screens have locks, they are easy to break open. In fact, slider door locks are quite easy to jimmy. You can install metal bars into the base or top (or both) of the door to add an extra layer of security, or you can block the doors by placing rebar, PVC pipe, or something equally as strong to prevent the door from being opened. Keep in mind, however, you must remember to remove the block prior to opening the door; otherwise, you risk damaging it. Older homes have something quite charming in common: exterior door hinges. While these hinges add character, they can also be removed by a burglar to gain entrance into the home. If you live in an older home that has exterior door hinges, it’s time to re-hang your doors. Reset the hinges to the inside and then reseal your doors properly to ensure they cannot be pried open. This also saves money on your energy bill (bonus tip!). With the hinges on the inside, the door is flush to the jamb, which makes it much harder for a thief to remove the door. Unbelievably, they will do this if they can, especially if you do not have exterior lighting to shine on the door at night. Finally, if you have one-pane windows it’s time to replace them with multi-pane ones. It’s much harder for a burglar to gain entrance into your home if he or she has to break many different panes. It’s also much harder for him or her to get to the window lock. You don’t have window locks, you say? It’s definitely time to install some, and if you cannot, replace the entire window. Windows are to a burglar as candy is to a child. They’re a sweet treat because they can be easily manipulated. Make certain the windows in your home can’t be with proper panes and locks. These security essentials make certain your home is protected against theft. They also protect you and your family, which is even more important. You can replace stolen items; you cannot replace your significant other or your children.